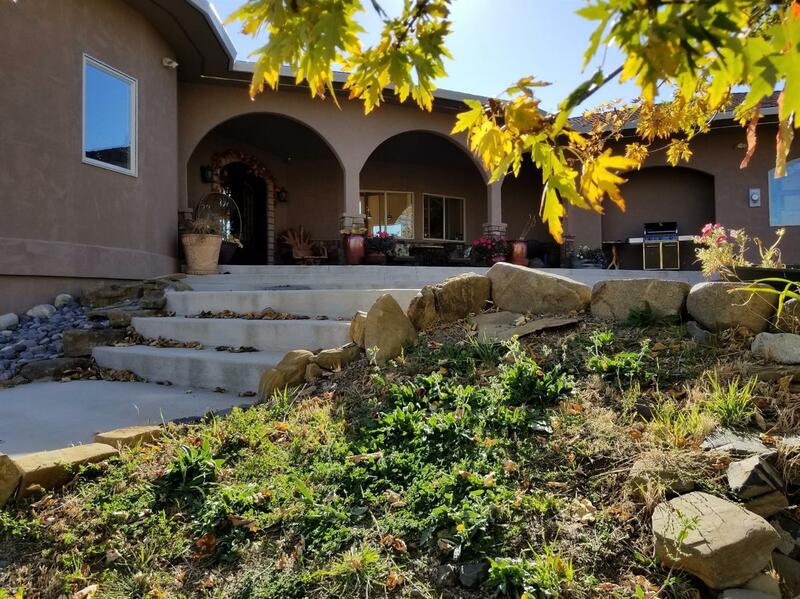 Stunning, over-engineered custom built home w/ 360 degree views of the Siskiyous, Cascades, Pompadour Bluff and vineyards. 3440 sf of luxurious living! Open concept main living area with a master wing, and guest wing. No expense spared throughout- 44 elite positive pressure fireplace heats up to 3000 sf, central heat and air, Brazillian granite countertops, all under-mounted sinks, Yew wood live edge baseboards and windows sills, wrought iron front doors, multiple french doors, cross sewn chestnut scratch-resistant flooring, exterior 8-camera security system, 2-car finished, oversized garage w/motorcycle bay. Five acres of hay producing acres w/ TID water rights, irrigation type are hand lines. Has well w/ addt'l 2000 rubber insulated, sheltered holding tank. RR5 zoning but EFU is possible (please inquire). 480 sf 4-stall horse barn. Large chicken coop, & wooden platform deck. 3-d virtual tour that allows you to virtually walk through the home available. Amenities list also available.